For me, Thanksgiving is like a culmination of two Indian movies: Aasif Mandavi's Today's Special - a family drama made even more colorful by a culinary pursuit, and Monsoon Wedding - a big, galloping wedding movie in which the party is a clear metaphor for the world. A glass of a Brut (dry) Sparkling wine will strike a celebratory note, as family and friends arrive with a heightened anticipation of Thanksgiving. Few bottles of racy whites chilling in a bucket of cold water (not ice), with flowers floating in them, will entice your guests to refill their glasses to complement the unparalleled array of samosas, kebabs and other appetizers. The aromatics of an off-dry Riesling from Alsace or Germany, a New Zealand Sauvignon Blanc or a statelier Viognier, like LXV Summer Satine, will complement the bouquet in the air. The refreshing acidity in these wines will cleanse your palate for the next bite, as you tantalize your taste buds, back and forth, with samosas, and kebabs. 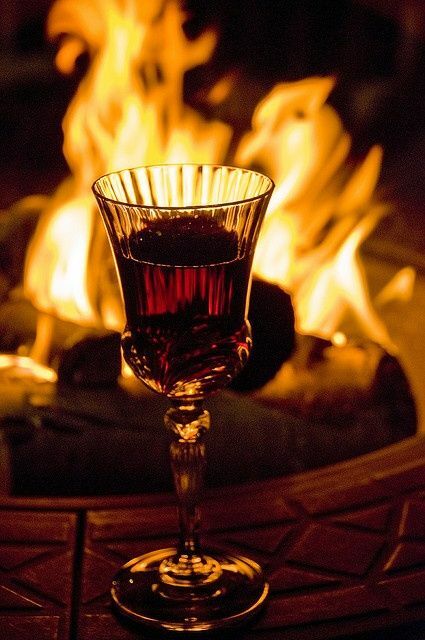 And if a conversation is your aperitif, the wine will be your silent companion for the quiet reflections, in midst of the revelry! A simple way to make a open-faced samosa : use phyllo cups and bake them with the samosa stuffing! 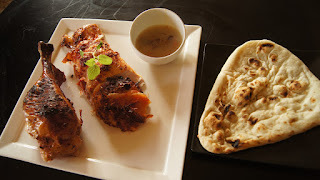 And two delicious kebab recipes that could be prepped in advance: Malai (cream-based) chicken kebab and Seekh Kebab! As the mood starts levitating, and stories start spilling about childhood shenanigans and adult debaucheries, the heavenly notes of spice will waft into the air, as you set the table with the most extravagant accompaniments of cumin potatoes, very rich and royal navratan korma (9 jewels), or the very exotic Smoked Dhaba Dal (smoked from a live coal). But what will steal the show will be the Tandoori Turkey! 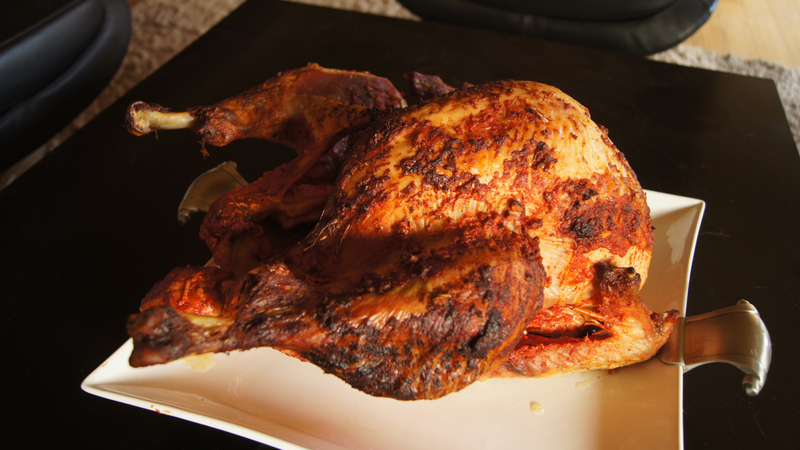 This beautiful bird, with a fiery hue of orange and red, and succelent juices dripping with every cut, curried drippings (just add a dash of garam masala to the drippings), and served with piping hot naan bread, will have everyone begging for more! This calls for some earthy wines that will build on the complexity of these dishes and the sentiment. Young Rhone wines that typically employ little oak barrels when aging, sing with such dishes. The spice notes in Syrah from Hermitage or the Grenache in a Châteauneuf-du-Pape will complement the myriad of masalas, with the fruit in the wine tempering the soaring spice. LXV Reserve Syrah generously offers blueberries and boysenberries, with hints of petrichor and dark spices, followed by layers of sandalwood, cedar, and dried tobacco. Always keep an additional glass of white wine next to your red. Sometimes a white can do more for a complex meal than a red can. And it is always a great palate cleanser! And if you truly believe this is the feast for Gods, open that stowed away Sauternes with a biryani (this one is a personal favorite!). I would not take away from the traditional pies. But delicately lace them with cardamom, cinnamon, nutmeg, or all aspice. And muse your guests with a sake tasting! Or stay true to tradition with a Late Harvest or Moscato d’Asti. until it becomes a memory! Well this is a really unique way to celebrate thanks giving haha. I remember I had a friend from India and he celebrated it in the same way. It first felt wierd but then later it was really fun. Thanks for sharing your thanksgiving story. Seems that all must have enjoyed a lot. The food is looking so yummy. The gift box is so amazing; everyone will be desiring to have it. Check the dissertation writing services uk for the high quality assignment.